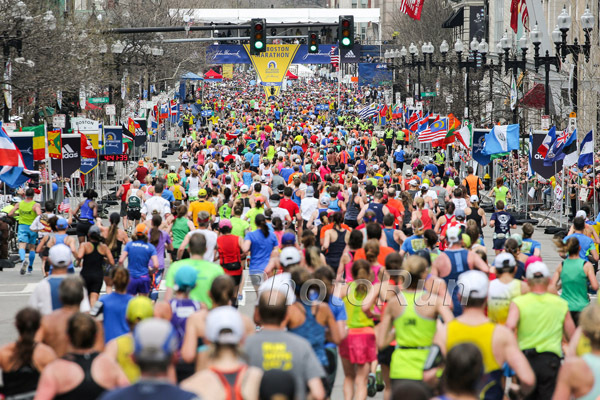 The 116th edition of the Boston Marathon, the oldest annual marathon in the world, started amid unseasonably warm temperatures on Monday. The race, traditionally held on New England’s “Patriots’ Day,” was full of high-class talent, including defending champions Geoffrey Mutai and Caroline Kilel—both from Kenya. In the end, however, neither of them were able to defend their crowns. 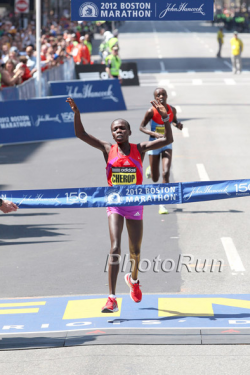 Wesley Korir, 29, won the men’s division in two hours, 12 minutes, and 40 seconds, while Sharon Cherop, 28, was the first woman to cross the finish line in 2:31:50. The wheelchair competitions offered an equal amount of excitement as Josh Cassidy of Canada broke South African Ernst Van Dyk’s world record by two seconds to win in a blazing 1:18:25. The women’s event on the point-to-point course was a close contest between Shirley Reilly of Tuscon, Arizona and five-time Boston champion Wakako Tsuchida of Japan, with Shirley prevailing in 1:37:34 hours. In the men’s division, Geoffrey Mutai was the clear favorite. The returning champion has dominated American marathons with wins in Boston last year (the fastest marathon ever recorded in 2:03:02) and a new course record at the 2011 ING New York City Marathon. Unfortunately, it was not Geoffrey Mutai’s day and he had to drop out after the 18th mile with cramps. 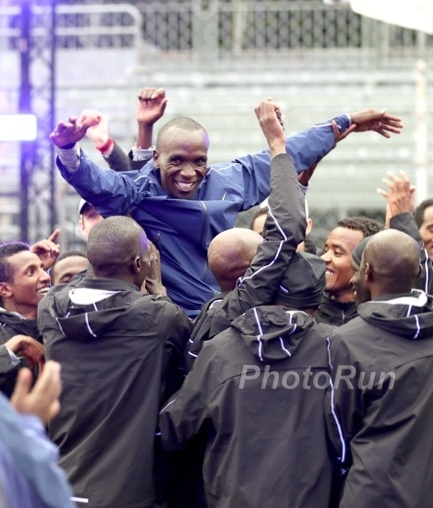 In the end, the race turned into a thrilling duel between Wesley Korir and rival Kenyan Levy Matebo. But at first it looked as if Levy Matebo and Matthew Kisorio would battle for first place. The two shared the lead until past the 30-kilometer mark, which they reached at the same time in 1:33:06. By the 35K point, however, Levy made his move and gained a sizable, 10-second lead over Matthew Kisorio. The gap grew to comfortable 15 seconds—but by mile 23, Levy’s form began to weaken and he slowed significantly. Matthew Kisorio also faded while Wesley Korir was able to catch up to Levy Matebo and the pair began to push each other in the final two miles. 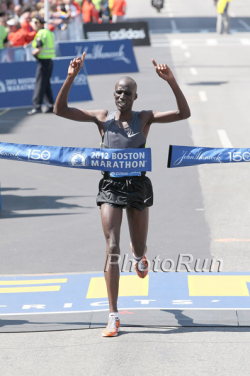 It was Wesley Korir who was able to go to the front and win with a time of 2:12:40. “Near mile 20, someone shouted that I was in sixth,” he recalled later. “I knew if I went too hard too soon, that I would cramp up. I saw the guys in front of me and I thought, ‘Let me get fifth.’ Then I passed the guy in fourth and I thought, ‘Wow, I could get fourth.’ When I saw the guy in front of him, I thought, ‘Wow, I could get on the podium. '” Levy Matebo took second in 2:13:06, while Bernard Kipyego placed third in 2:13:13. 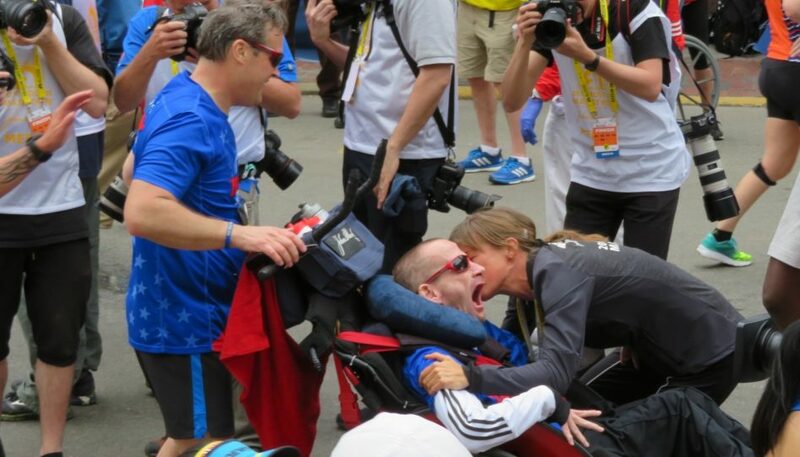 “I am really, really happy to be able to win Boston,” a smiling Wesley Korir told Universal Sports after the race. When asked what he will do with his prize money, he said touchingly, “I am going to take a lot of kids to school with the Kenyan Kid’s Foundation. We sponsor kids. So I think, this is an on opportunity for a lot of poor kids to get an education.” Wesley founded the charity with his wife, elite Canadian runner Tarah McKay. The women’s race began predictably slowly due to the warm temperatures. Seven runners crossed the 5K mark in 18:50. But when the next 5K point was reached, the pace had begun to sharpen with former champion Caroline Kilel and this year’s eventual winner, Sharon Cherop, sharing the lead. By the half-marathon point, the race remained very much a tactical affair. A total of nine runners, all from rivals Kenya and Ethiopia, crossed the mark in 1:17:09. Going into the final four miles, the race was between Sharon Cherop, Jemima Jelagat Sumgong, and Georgina Rono—all three from Kenya. At that point Georgina Rono began to fall behind and the lead was shared by Sharon Cherop and Jemima Jelagat Sumgong. The two ran side by side all the way onto the marathon’s finishing stretch of road on Boylston Street in downtown Boston. Under the towering buildings and amidst the din of cheering spectators, Sharon Cherop found her final gear and surged ahead of Jemima Jelagat Sumgong to win the race in 2:31:50. Jemina took second in 2:31:52, while Georgina was third in 2:33:09. 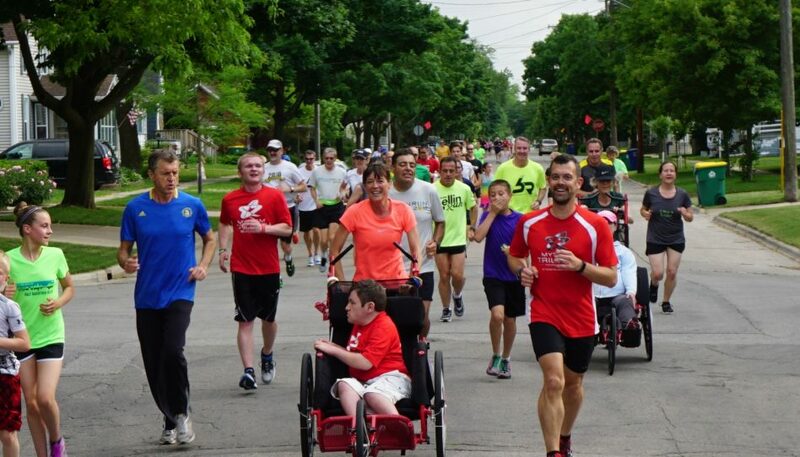 Thousands of runners representing the race’s 36 official charities are expected to have raised more than $10 million for their respective causes this year. The John Hancock Non-Profit Program offers another opportunity to run for a good cause during the first World Marathon Majors (WMM) event of the year. 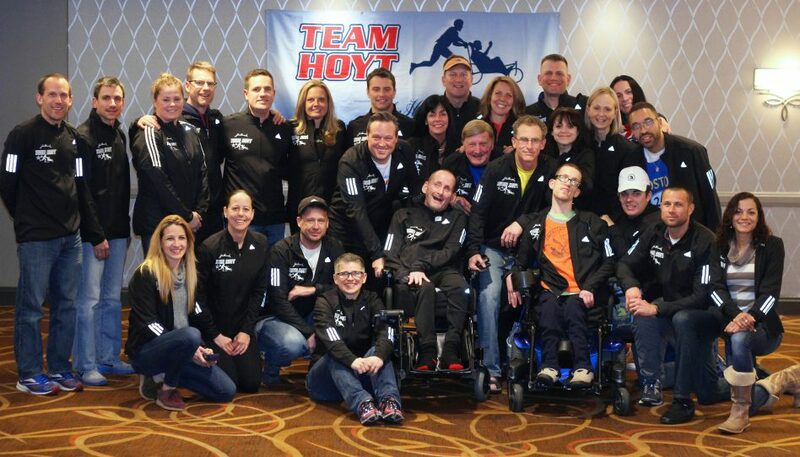 More than 1,000 athletes trained and raced with the goal to raise a record $6 million. On the flat ABN AMRO Rotterdam Marathon course that winds through the Dutch seaport, Tiki Gelana ran to victory on Sunday in a surprisingly fast two hours, 18 minutes, and 58 seconds—putting the 24-year-old Ethiopian athlete at number seven on the list of the fastest-ever marathon times. Tiki Gelana is also now only one of four women who have ever gone under 2:19, joining Britain’s Paula Radcliffe (2:15:25/world record), Russia’s Liliya Shobukhova, who won Chicago last October in 2:18:20, and Kenya’s Catherine Ndereba (2:18:47). A fast finishing time was also recorded in the men’s race held in windy and cool conditions. In a thrilling finish, Ethiopia’s Yemane Adhane triumphed in 2:04:48, with his compatriot Getu Feleke just a second behind him. Kenya’s Moses Mosop took third in 2:05:02. Yemane Adhane’s time was the eleventh fastest ever run and the second best marathon this year. 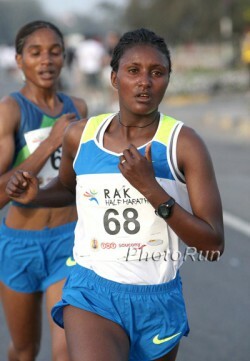 The leading marathon time for 2012 belongs to Ayele Abshero (Ethiopia) who finished in Dubai with 2:04:23. Tiki Gelana’s winning time in Rotterdam bettered the Ethiopian record set by Aselefech Mergia less than three months ago (2:19:31/Dubai in January), and she now stands a good chance of qualifying for her country’s Olympic team. Tiki won the Amsterdam Marathon last October (2:22:08). In Rotterdam on Sunday she also set a new course record and ran a world-leading time for the year. In 1998, Tegla Loroupe covered the course in 2:21:47 and set a world record there. To date, it is the only women’s world record that has ever been set in Rotterdam. From the very beginning it was a race against the clock for Tiki. She led from the start, and soon ran alone. Valeria Straneo placed second with 2:23:43 almost five minutes behind the winner, yet for Italy’s 36-year old runner it was a personal best and a new national record. Maura Viceconte who ran 2:23:47 in Vienna twelve years ago had held the previous Italian mark. Ethiopia’s Merima Hasen took third in 2:25:47. More than 900,000 spectators cheered on the marathoners along the course.